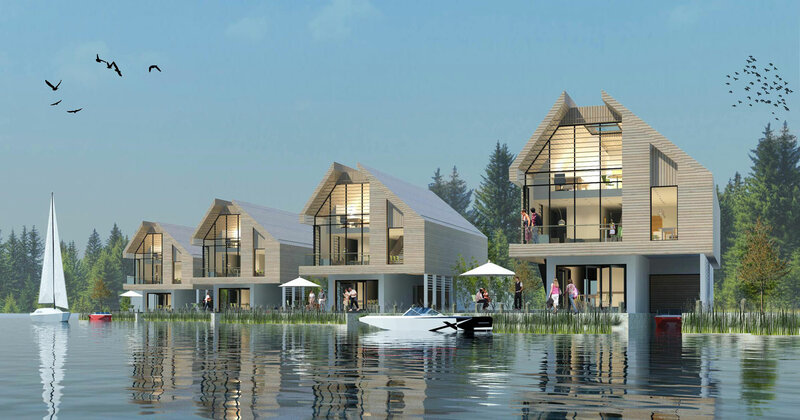 The Sunday Times British Homes Awards held an UK-wide competition for an aspirational waterside home designed to Passivhaus standards. 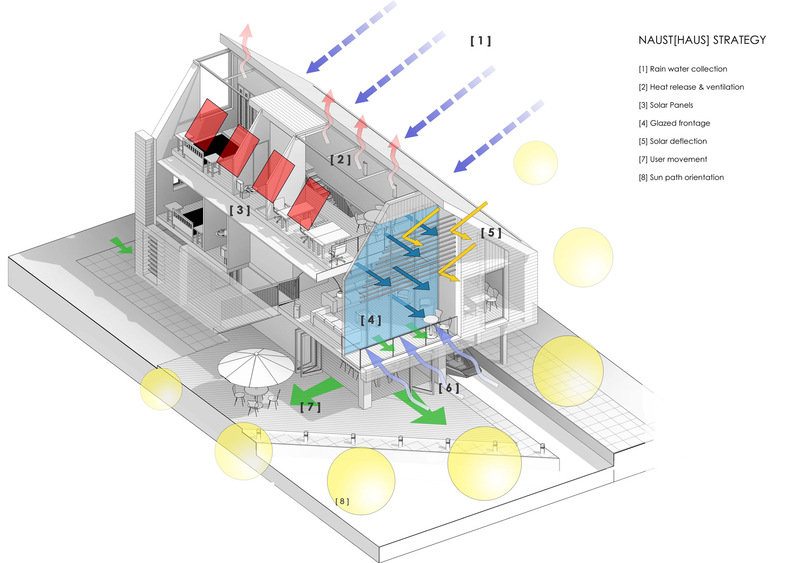 Entries were encouraged to be visually arresting and offer a healthy environment for the occupants. 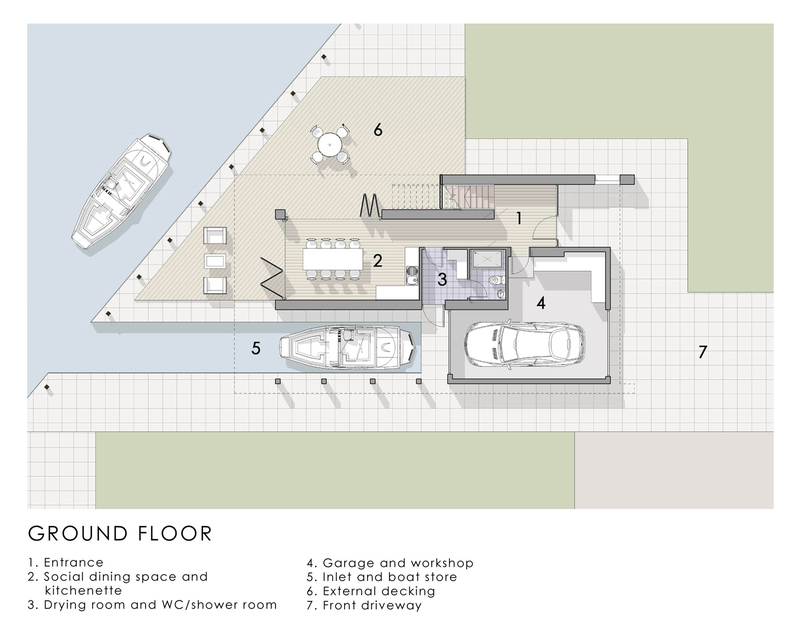 Artform Architects’ design incorporates an integrated boat storage beneath an elevated living, kitchen and dining space at first floor. 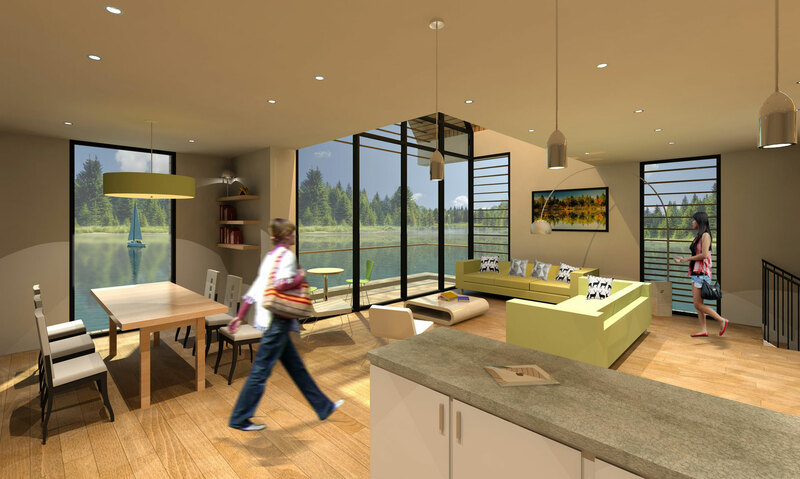 These south facing spaces maximise views across the water and benefit from high levels of natural light. 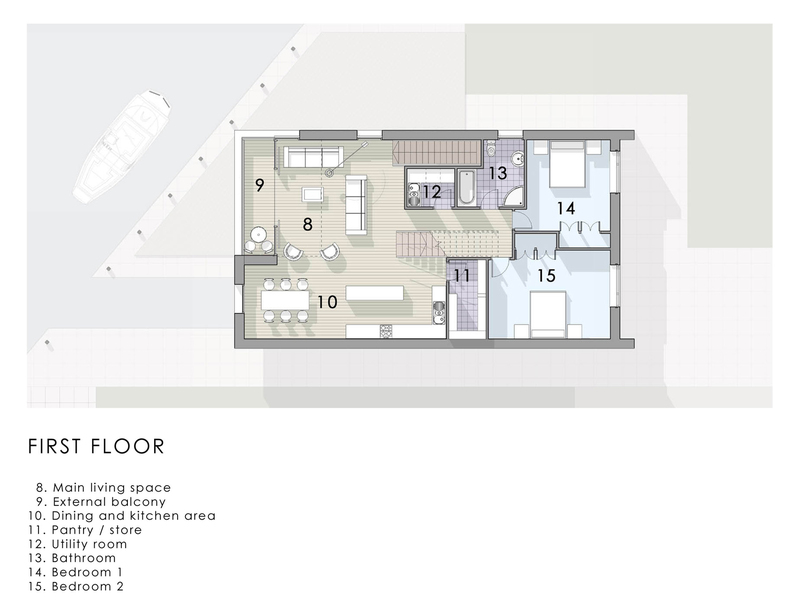 A social gathering space at ground floor opens up to an external terrace alongside the water’s edge. 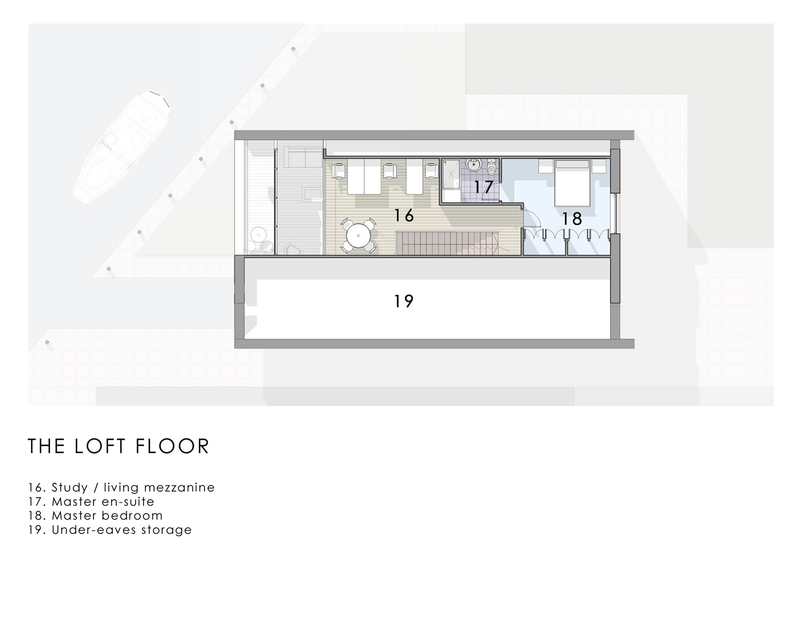 A mezzanine loft space provides bedroom space with a live / work studio and office. 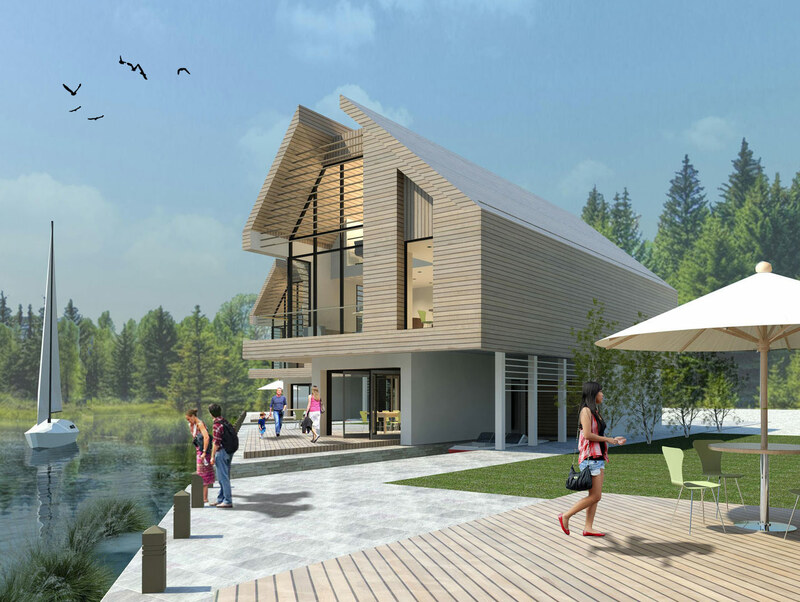 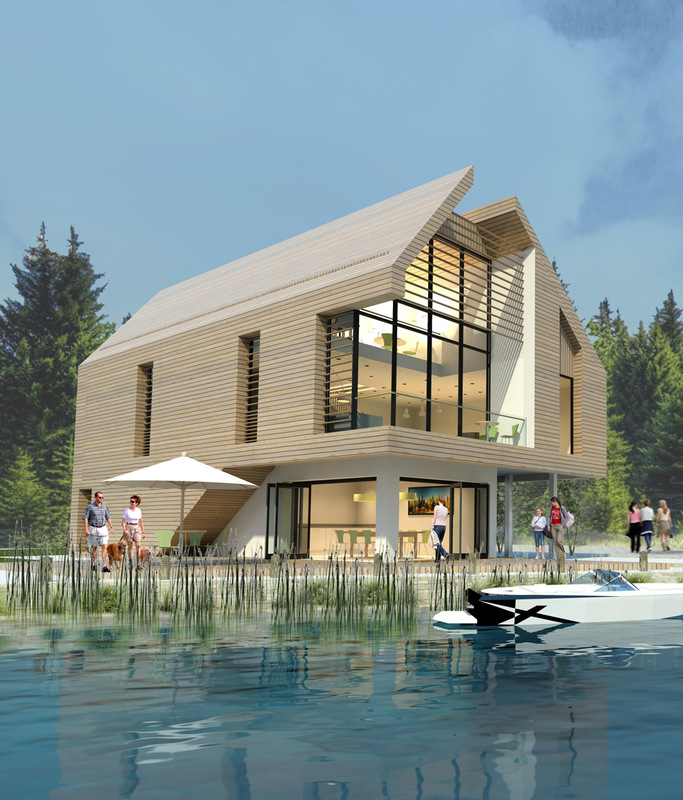 Inspired by traditional boathouses, the Naust[haus] achieves low energy building standards with a high quality, flexible living environment.